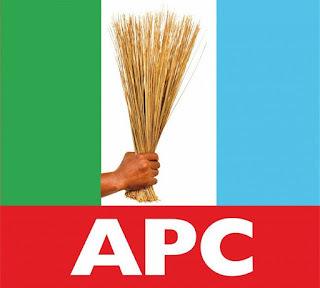 The Court of Appeal Sokoto Division on Wednesday dismissed the case filed by a member of the House of Representatives, Aminu Jaji, against the decision of a Zamfara High Court which recognized the primaries conducted by Zamfara APC for candidates in the upcoming general election. The appellate court dismissed the appeal after Jaji withdrew the case. Presiding Judge, Justice Jummai Sankey, granted the prayer made by the appellant in which he sought to withdraw the entire case. Sankey, who led another panel of judges, held that the Appellant was at liberty to withdraw the case based on Order 11, Rule 1, of the Appeal Court Laws, noting that the order and rule cited by the respondents were only recognizing administrative rules. The judge said the court took judicial notice of records of the previous panel as well as Supreme Court judgment and thereby dismissed the case based on Order 11, Rule 5 as required by law. The News Agency of Nigeria reports that a Zamfara High Court had recognised the primary elections held by the All Progressives Congress in the state and declared that INEC accept the party’s candidates for the elections. Unsatisfied with state High Court decision, the appellant, Jaji, a governorship aspirant and member representing Kauran Namoda/Birnin Magaji Federal Constituency, approached the appeal court asking it to set aside the lower court’s judgement. On Monday, Justice Ahmad Belgore and two other justices had recused themselves from delivering judgment on the appeal based on a circulated media allegations and issues raised by Mr. Muhammad Nuhu, Counsel to Senator Kabiru Marafa, that they were compromised. Belgore said in recognition of the magnitude of allegations and present situation in judiciary as well as the nation, the judges surrendered that the President of the Court of Appeal should constitute new panel to entertain the matter. He told all parties to the case to await the constitution of a new panel that would consider the matter, a situation that led to constitution of the panel headed by Sankey.